‘Circum/bi/Polar,’ in COLA 2013, Individual Artists Fellowships, DCA, 2013. By Alma Ruiz, senior curator, MOCA. Ny Ålesund Arctic Research Station 1, 2013. 32 × 48 inches. Archival Inkjet print. Circum/bi/polar consists of a group of photographs of varying sizes and a projected video. 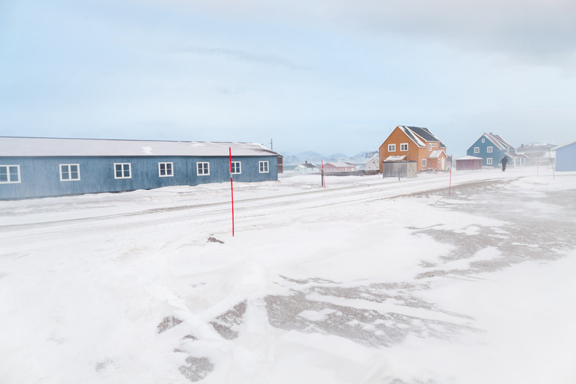 The 32-by-44-inch photographs depict various aspects of the research village at Ny-Ålesund, including images showing the scientists at work as well as the surrounding Arctic landscape; the two 80-by-56-inch photographs show the Arctic Tern in flight as well as a map upon which the artist graphically traces the bird’s migratory patterns as well as the travel patterns of the researchers. The video spotlights a journey the artist undertook to a remote location on the island where, in the midst of a blizzard, she attempted to plant the Mexican flag. Carrying out an act that the Spanish conquerors would routinely conduct when they arrived at a new post in the New World, Méndez, a Mexican citizen, tries to claim this inhospitable land on behalf of her birth country. Transformed into a tiny black speck on an immense white landscape, the artist struggles to accomplish her mission until the intense winds tear the flag away from her hands, wholly frustrating her plans: she ultimately accepts the futility of her act and opts to walk away. 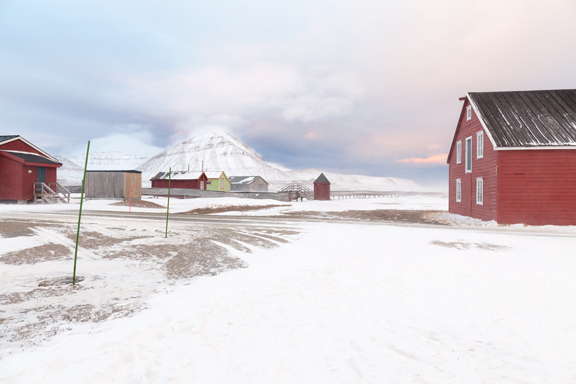 Ny Ålesund Arctic Research Station 2, 2013. 32 × 48 inches, Archival Inkjet print. 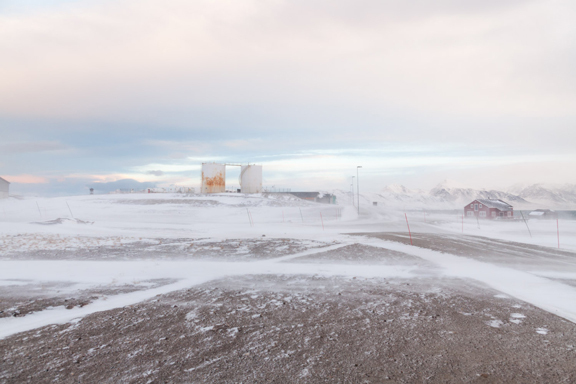 Ny Ålesund Arctic Research Station 3 , 2013. 32 × 48 inches. Archival Inkjet print.